The more you run barefoot, you will eventually get to a point where you become injury-free as compared to running in shoes. This is because the availability of sensory information that stimulates the nerves in our feet are the building blocks to correct running biomechanics. 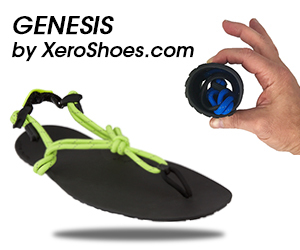 Here is a deep conversation about the neuroscience of barefoot and shod running –how exciting!! 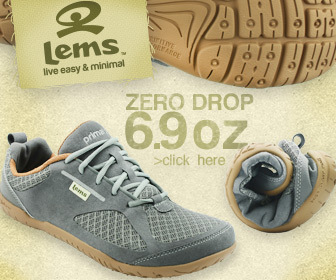 One of the most frequent questions related to running is what is the best shoe to run in. However, the only way run with a light footfall and with good mechanics, running barefoot trumps running in shoes. Learning to run in running shoes impairs the conscious awareness needed to monitor safe footfalls and ankle and knee-joint flexion. 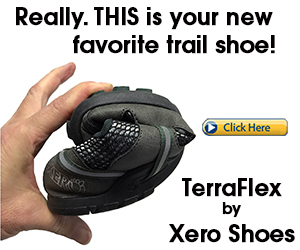 Shoe cushioning reduces the integration of sensory information travelling from the foot’s proprioceptors to the area of the brain involved in movement and reflexive behaviors. Under shod conditions, sensory information is less integrated, resulting in flawed biomechanics. Where does conscious awareness of movement come from in the brain? 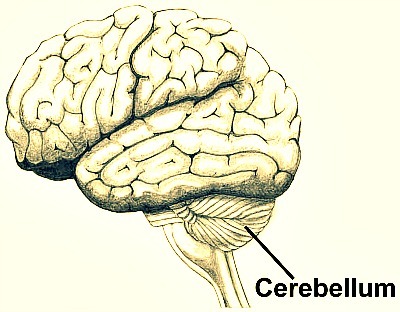 The cerebellum, which rests on top of the brain-stem and regulates motor skills and reflexive movements. Barefoot running unleashes a multitude of integrated sensory information relevant to the part of the brain that contains the most nerve cells, the cerebellum. If areas of this part of the brain starts to disconnect, this includes blocked plantar proprioception via running shoes, conscious awareness fades and the quality of movements diminishes during running. You need to understand that barefoot running captures both the quantity and quality of conscious awareness because the system is more integrated with sensory information. When it comes to developing the proper forefoot running technique, the body relies on substrate-dependent information that comes from the soles of the bare feet. This means that the substrate(s) (i.e. running shoes, the ground etc) on the bottoms of the foot strengthens synaptic connections among nerve cells of the feet and the central nervous system that govern how we run. For example, surface hardness (substrate) encourages barefoot runners to avoid heel strike and land with virtually no impact peaks; whereas cushioned running shoes encourages a heel strike accompanied with more impact and poor knee and hip flexion. 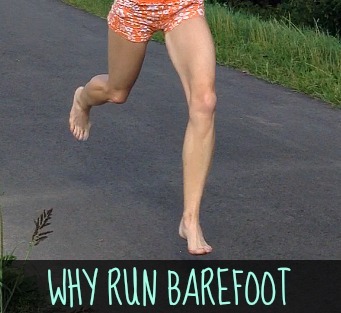 Go for a barefoot run because it is the gateway for adopting the proper forefoot running technique, similar to that of Ethiopian elite distance runners. This however, depends on the level of conscious awareness to allow running by feel possible. Barefoot running optimizes conscious awareness because it triggers and strengthens extensive reciprocal connections linking the proprioceptors and the cerebellum. Ultimately, wearing running shoes is like losing one chunk of a particular area of the cerebellum making it challenging to perceive foot motion and foot strike intensity during running. P.S. Don’t forget to check out Run Forefoot on Facebook, it is a great place to ask questions about barefoot running, forefoot running, etc. I will be happy to answer them!